Why Lidermed? | Lidermed. Fabricantes de vendajes tubulares compresivos. Flexibility: easily adapting to client needs and specifications. Trust: top grade materials used in the fabriction of all our products. Quality certification ISO9001. Own production facilities: In-house manufacturing and finishing of private label products for sale to large consumer brands. 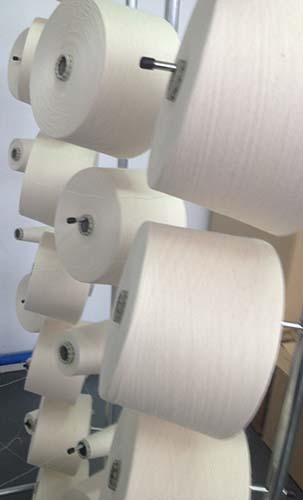 Cost efficiency: Materials available in large quantities such as industrial bobbins. On-going innovation: From the start Lidermed has consistently focused on the innovation and creation of new product lines. Speed: 24/48 h delivery delivery service available within the entire Iberian peninsula. Widespread coverage: We manage an extensive sales force network throughout Spain. Established professional history: over 25 years of experience in the medical and hospital sectors. Exclusive brand relationships: Lidermed is currently serving as exclusive distributor to Catalan firms MEDICARE SYSTEM,S.L. and CQF,S.A. We are looking for distributor for Europe and the rest of the world, interested please contact.